"Whether it's plates, bowls and cups for the table or lunch kits, sport bottles and food containers for meals on the go, Zak!Kidz makes mealtime fun." Zak Designs sent a 6 piece Toy Story 3 Mealtime Set for review. From the minute we received the 6 piece Toy Story 3 Mealtime Set, it has been a huge hit in our house! Cooper absolutely loves each and every item, but I think his favorite is the Buzz Lightyear Funtime Tumbler! He wants to drink out of it every day! Every item that we received is very sturdy and well made. They all hold up well in the dishwasher, which is a huge plus for me! I definitely recommend stopping by the Mealtime Fun Zone at www.zak.com to chat with other parents about anything and everything or search for new recipes to try! Buy It! You can purchase your own Toy Story Mealtime items at http://www.zak.com/ . Win It! 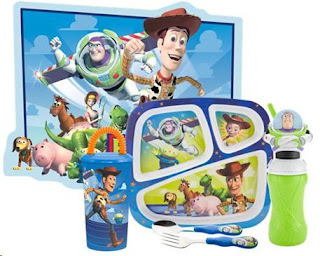 Zak Designs has generously offered to give one lucky reader their own 6 piece Mealtime set in either Toy Story 3, Cars, Princess or Tinkerbell! 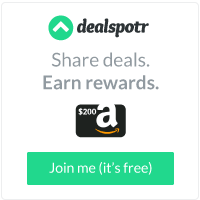 Visit Zak Designs, then come back here and tell me another item that you would like to have! Follow me on Twitter and tweet about this giveaway! (Leave your Twitter name and a link) You can tweet this daily: " Zak Designs Toy Story 3 Mealtime Set giveaway at Opinions of a Moody Mama #giveaway @zak_designs @coopersmommy http://tinyurl.com/2wq52kj "
I would love to have the Colorways 4pc Mini Bowl Set in Tonal True Blue. I like the 6-in-1 All Purpose Butter Dish - White/Clear too. I like the Zak Pak Food Storage Container for kids Hello Kitty. I like the True blue Ceramic Salt and Pepper grinders. I would love to have the Hello Kitty 3D Fun Sip. This is great! my son is so into toy story right now. He's three and he loves Mr. Potato Head and Hamm the most. I like the cars set most! I'd love to try the meeme stackable containers. My little one would either like the Yo Gabba Gabba or Hello Kitty themed items. The lunch bags are so cute! I'd like to have the Colorways 4pc Mini Bowl Set - Assorted Citrus. I like the dot-dot black and clear hiball glasses. I like the Colorways 5pc Set Mixing Bowls - Assorted Brights Red. I like the Amore 4pc Dessert Bowl Set - Brights. I like the Toy Story Lunch Bag. I would like to have a set of Dot Dot Goblets - Red/Clear. I love their Confetti 4pc Bowl Set - Assorted Brights, gorgeous! I love the Confetti Extra Large Bowl - Orchid! I like zac ob FB! I follow zac on twitter! I also like the Pear Mill with Ceramic Grinder in Smoke. I am a fan of Zak Designs via Facebook as Jill Myrick. I am following Zak Designs via Twitter as jlsc123. I like the Spectacular Spider-Man Lunch Bag. My little grandson would love it. I would like the meeme stackable containers. I like the 2pc. flatware set for babies. Too cute. Would love to have the 16 oz Turquoise Chiller. I love the Pineapple Nibble Tray! Love the Hello Kitty selections! I would love to have the Colorways 4pc Mini Bowl Set - Rainbow Magenta. Amore 4pc Dessert Bowl Set - Brights.